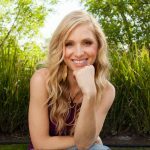 Speaker, coach, founder of Free From Food Addiction and author of the forthcoming book, Freedom Embodied, Debbie Lichter shows you how to get free from food and any addiction or obsession so you can stop holding back, feel comfortable in your skin and have the confidence to shine your light. Do you have a great life but still feel stuck or like you’re holding back? If you’ve done plenty of self-work and have tons of knowledge but just don’t get why you get stuck in old patterns of sabotage, obsession or addiction, Debbie Lichter’s powerful presentations will elevate you out of the frustration, give you clarity on where you may be getting stuck and show you how to fast track freedom with less effort than you ever thought possible. As a food addiction and embodiment expert who worked for COSMOPOLITAN Magazine Internationally, Debbie struggled with food, drug and codependency addictions as well as severe anxiety and doubt before discovering the secret to lasting freedom. Debbie’s powerful talks show the common mistakes most people make as well as the secrets to having lasting freedom so you can stop obsessing, feel at ease, lose weight without thinking about it and just feel confident and comfortable being you. The audience leaves Debbie’s engaging, interactive presentations with renewed hope and clarity, and tools they can implement now to end struggle and get on their path of freedom. Presented as Keynotes, Breakouts, Workshops or Seminars (1/2 and full day), Retreats, Trainings and Webinars. Debbie is also available as a panel guest or moderator. Do you know what to do but still get stuck in the binge/obsession cycle? Are you trying to get things under control but don’t know what you’re missing? Does self doubt, anxiety or overwhelm have you holding back and feeling stuck? If you don’t have the healthy relationship you want with food, you’re probably just missing some key distinctions. Debbie will reveal 3 keys from her proven Congruence Code System to getting free and feeling lighter without obsessing, diets or deprivation. Do you have a big vision for your business but find you hold back or play small? If you have plenty of expertise in your field, but lack the confidence to put yourself out there at the next level, you’re probably just missing some key distinctions. Debbie will reveal 3 Keys from her proven Congruence Code system to help you launch into your next level of confidence so that you can make the impact you’re here to make. As smart, busy entrepreneurs, we have a tendency to focus on strategy and increasing our skills, but we often times do it in a mental silo, that’s disconnected from our body’s intelligence. This robs us from accessing our full potency and power as women and can leave us feeling obsessed, stressed. In this signature training Debbie will reveal 3 essential keys to being an embodied entrepreneur so you can be more productive, operate with your full power and potency and have greater impact while feeling deeply resourced. Imagine getting a standing ovation at your next talk or keynote and having people rush to sign up for your services. If you want your speaking to translate into more sales, then there are some subtle distinctions that will make all the difference. Debbie Lichter will reveal 3 Keys to take your presentation skills to the next level. For nearly a decade, Debbie Lichter has helped high-achievers worldwide get free from food and other addictions, obsessions and self-sabotaging patterns so they can stop holding back, feel comfortable in their skin and have the confidence to shine their light. As a food addiction and embodiment expert, who worked for COSMOPOLITAN Magazine Internationally, Debbie navigated her own path to freedom from food and drug addiction, codependency, severe anxiety and self doubt, and today combines 20 years of experience in the health and fitness industry with her integrated Freedom Embodied System that helps women get free and stay free from all addictions and obsessions, be authentically all of themselves and have the confidence to put themselves out there to help others. Debbie has conducted over 200 classes, workshops and trainings in the areas of addiction, spirituality and is currently growing a global constellation of women “luminaries” who are living free, shining their light and lighting up others.